Tuesday 8: Solemnity of the Immaculate Conception of the Blessed Virgin Mary. At 9.30 a.m. in St. Peter’s Basilica, Holy Mass and opening of the Holy Door. Tuesday 8: Solemnity of the Immaculate Conception of the Blessed Virgin Mary. At 4 p.m. in Piazza di Spagna, veneration of the image of Mary Immaculate. Saturday 12: Feast of Blessed Virgin Mary of Guadalupe. At 6 p.m. in the Vatican Basilica, Holy Mass. Sunday 13: “Gaudete Sunday” Third of Advent. At 9.30 a.m. in the Basilica of St. John Lateran, Holy Mass and opening of the Holy Door. Sunday 13: “Gaudete Sunday” Third of Advent. At 10.30 a.m. in the Basilica of St. Paul Outside-the-Walls, Holy Mass and opening of the Holy Door, presided by Cardinal James Harvey. Thursday 24: Solemnity of the Nativity of the Lord. At 9.30 p.m. in the Vatican Basilica, Holy Mass. Friday 25: Solemnity of the Nativity of the Lord. Central loggia of the Vatican Basilica, at 12 p.m., “Urbi et Orbi” blessing. Sunday 27: Feast of the Holy Family of Jesus, Mary and Joseph. At 10 a.m. in the Vatican Basilica, Holy Mass for Families. Thursday 31: Solemnity of Mary Most Holy, Mother of God. At 5 p.m. in the Vatican Basilica, First Vespers and Te Deum, in Thanksgiving for the past year. Friday 1: Solemnity of Mary Most Holy, Mother of God. 49th World Peace Day. At 10 a.m. in the Vatican Basilica, Holy Mass. Friday 1: Solemnity of Mary Most Holy, Mother of God. 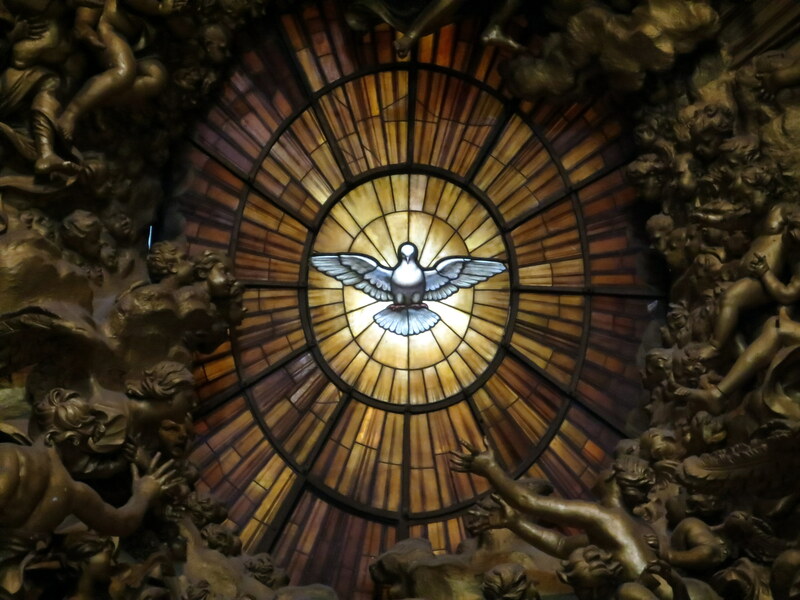 At 5 p.m. in the Basilica of St. Mary Major, Holy Mass and opening of the Holy Door. Wednesday 6: Solemnity of the Epiphany of the Lord. At 10 a.m. in the Vatican Basilica, Holy Mass. Sunday 10: Sunday after the Epiphany: Feast of the Baptism of the Lord. At 9.30 a.m. in the Sistine Chapel. Holy Mass and baptism of babies.